Looks like the rumours are true about The Bridge being cancelled. 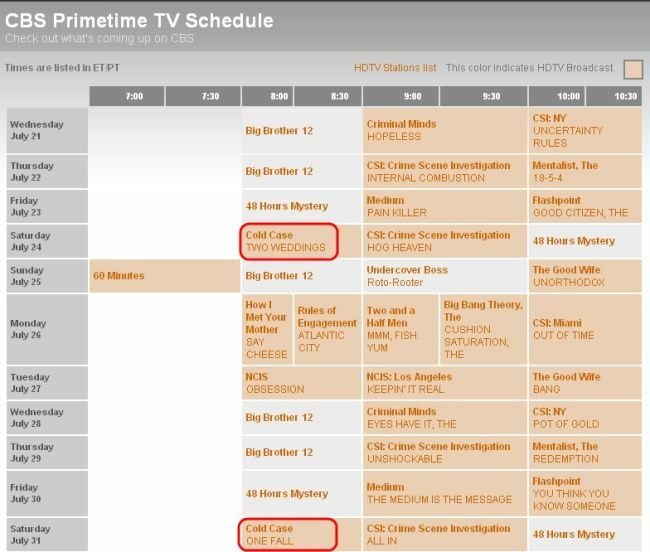 The article below says that CBS will be airing a repeat of Cold Case this Saturday. Wow! It turns out that a scripted show can get too low a rating to survive in the summer: Vulture has learned that after airing just three episodes, CBS has decided to pull the plug on Canadian cop show The Bridge, effective immediately. The import was buried on Saturday night, and virtually nobody watched: Last week’s episode was seen by just 2.8 million viewers, with only 426,000 of those viewers under 50. In that young demo, that’s fewer than who watched repeats of the long-canceled CBS drama Moonlight on the CW last week. So even though CBS paid very little for The Bridge — less than $500,000 an episode, per industry estimates — the network decided that airing repeats of other CBS crime shows (starting with Cold Case this week) would make more sense. UPDATE: There is a feedback form on the CBS website. Go here http://www.cbs.com/info/user_services/fb_global_form.php and choose THE BRIDGE from the drop down box. I’m not sure if that is the correct place to go to, to let CBS know that we think they’ve made a terrible mistake in cancelling THE BRIDGE, but it’s worth a shot. There is also the CBS facebook fanpage for THE BRIDGE where you can leave comments.